About Vermont Rolling Pins :: HandmadeRolling Pins in Shaker Style, French and more handmade rolling pins. The rolling hills, Green Mountains, and Lake Champlain lure artisans of all kinds to live in Vermont. Inspiration for art abounds here. 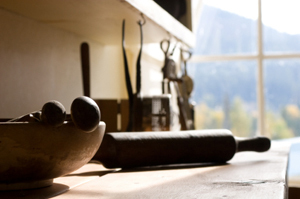 Although many artisans are transplants or “flatlanders” as Vermonters call them, Vermont Rolling Pins’ wood turner is a long time Vermonter. His family records date back to the late 1600’s; they were beckoned early on to this gorgeous state. 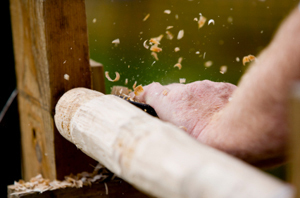 As you can tell our wood turner is passionate about his creations. We, at Vermont Rolling Pins, know you’ll love the workmanship which goes into your handmade solid wood rolling pin.